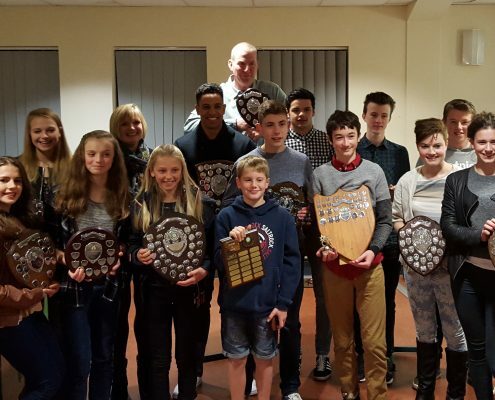 Yate were Overall Winners, for a second consecutive year. 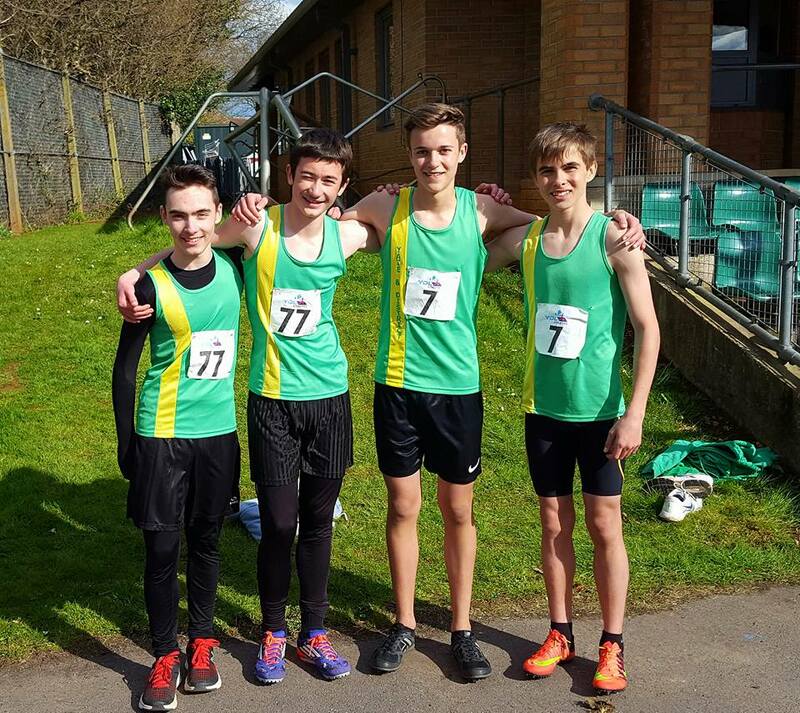 MATCH 1 AT PLYMOUTH on 1st MAY 2016. 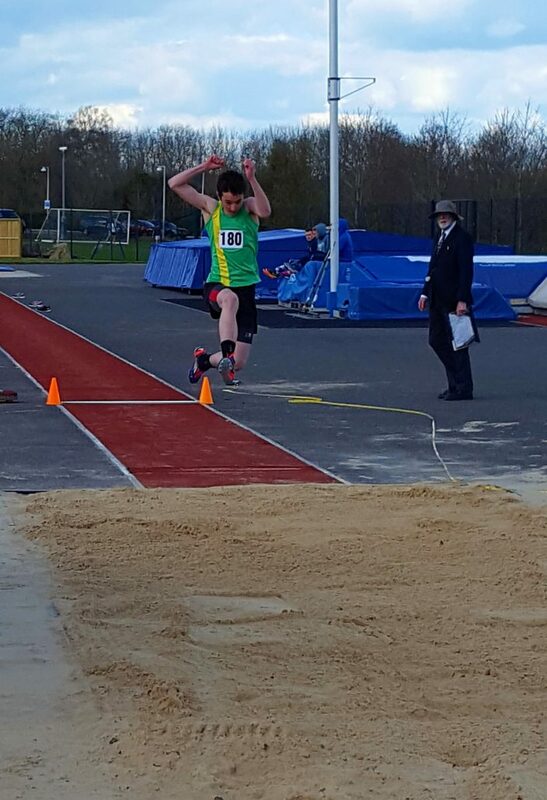 Team Avon won the overall match by one points which was a tremendous achievement given the adverse weather conditions which were not really conducive to good performance. 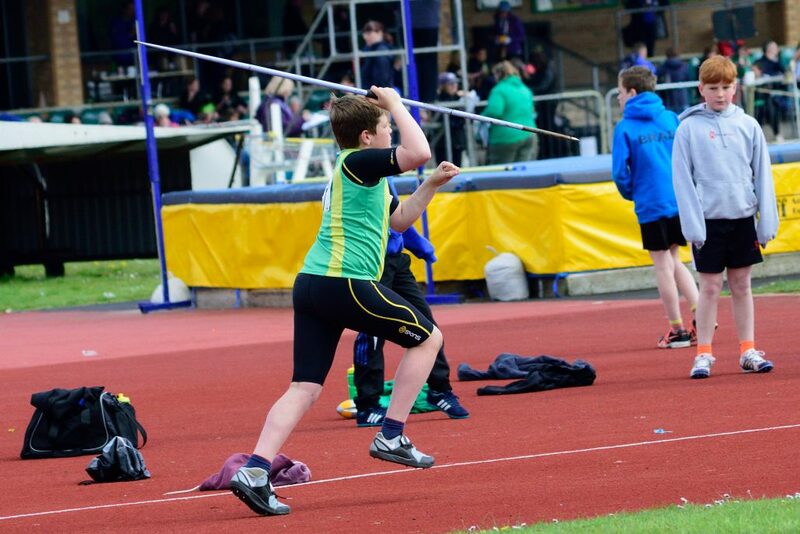 Points; Team Avon 670, Devon & Cornwall 669, West Wales 525, Cardiff 451, Yeovil 275, SE Wales 139. 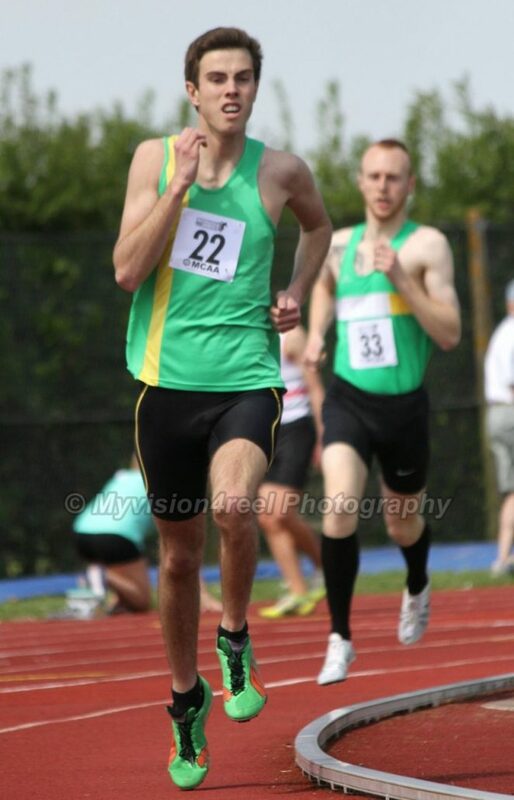 Team Avon, like the other clubs, was affected by the bank holiday weekend, illness and injury. 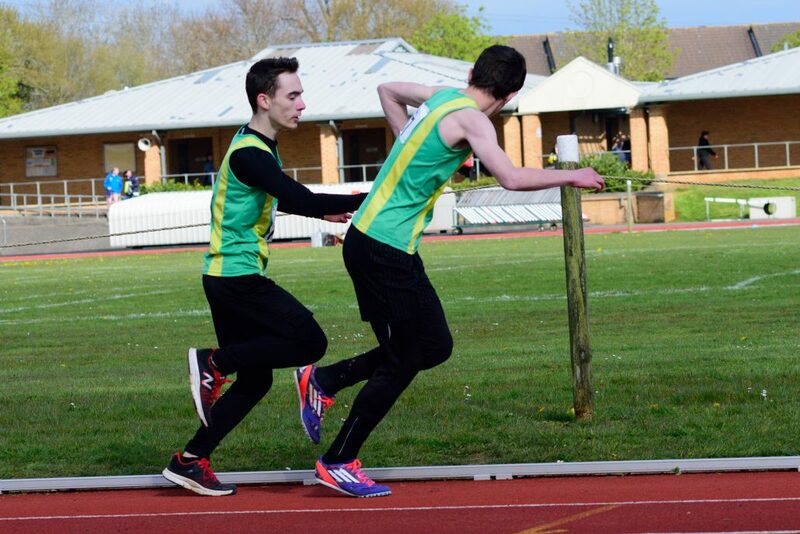 Nevertheless, we looked a strong team and despite a few minor setbacks, performed well. 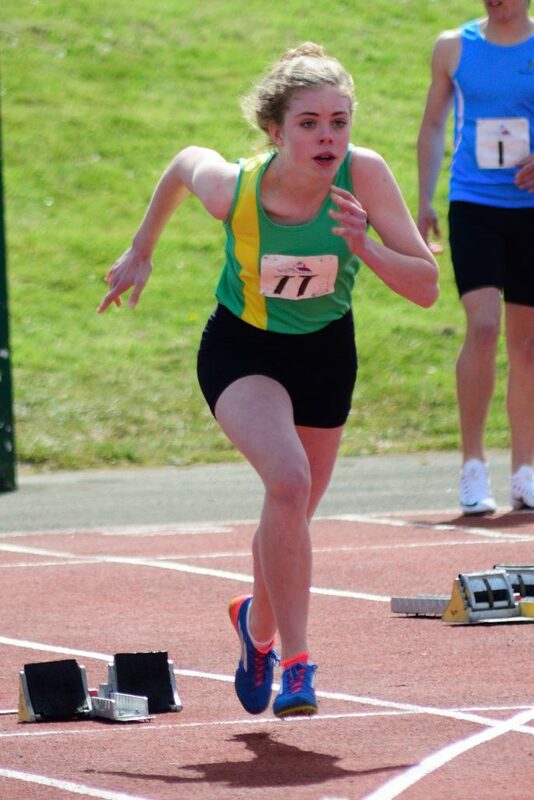 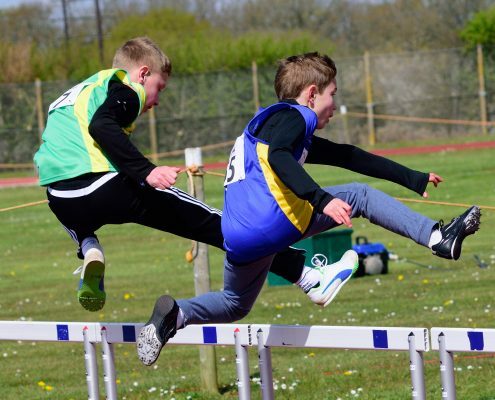 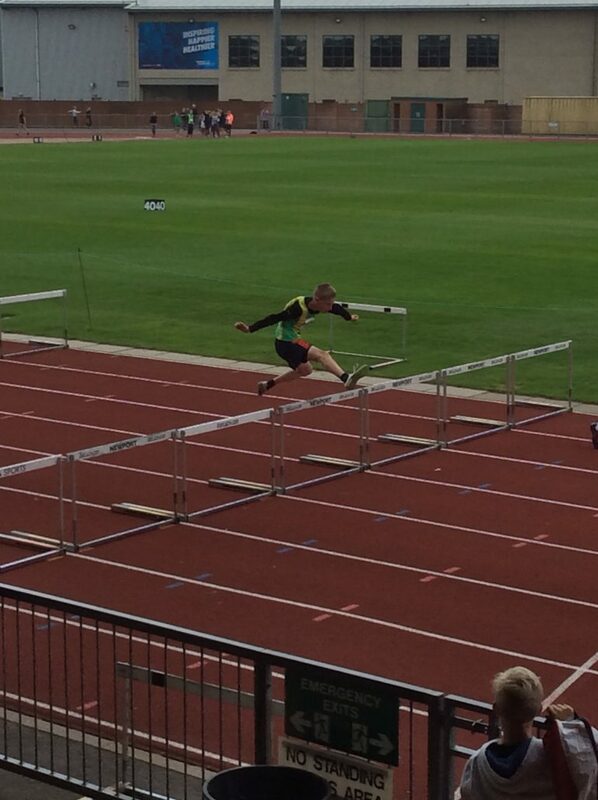 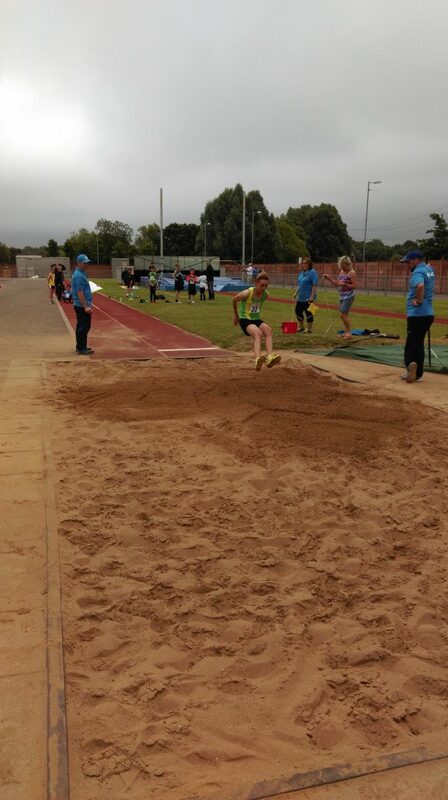 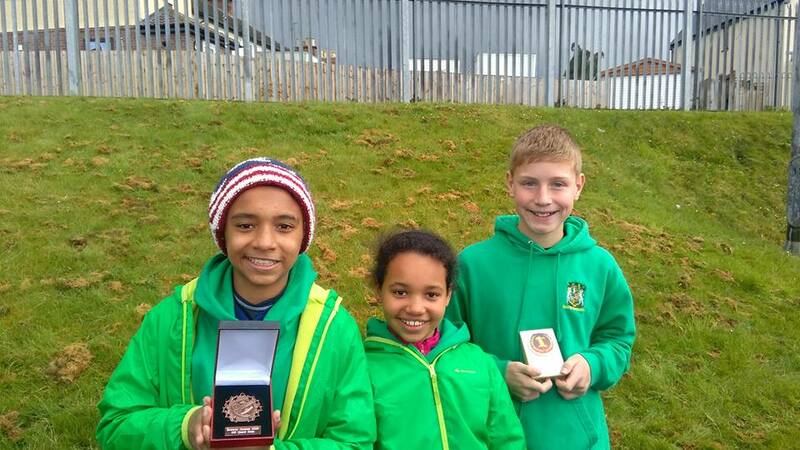 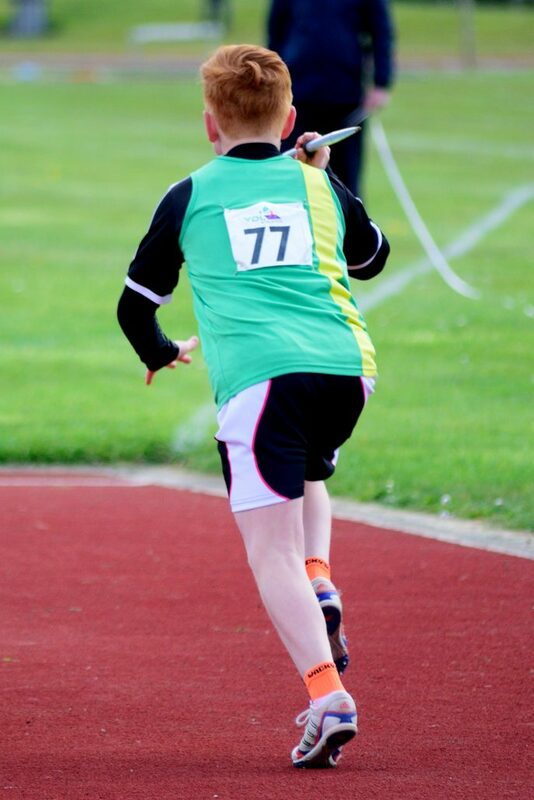 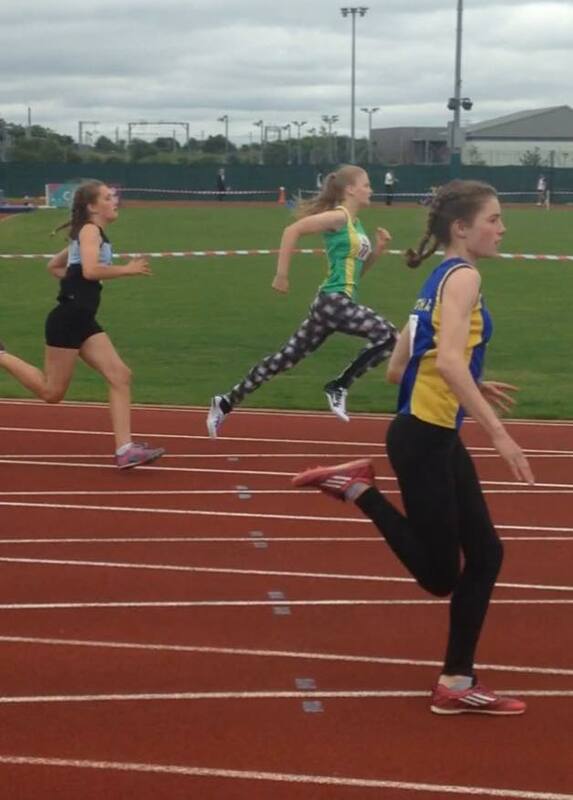 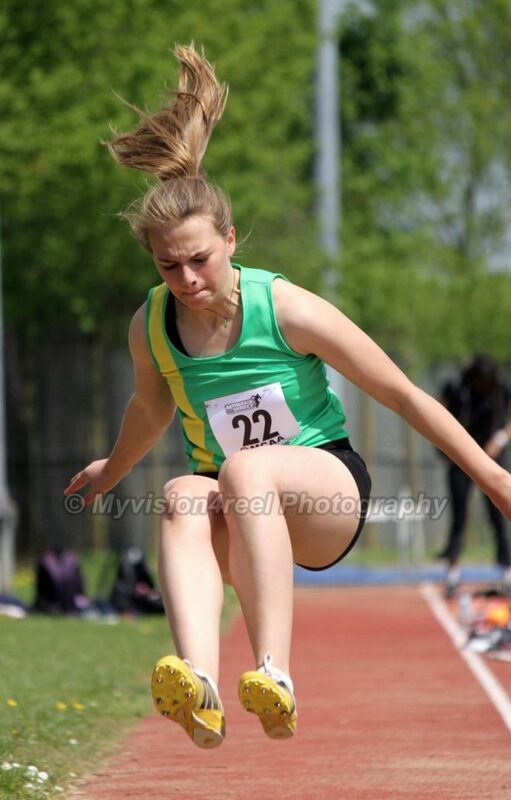 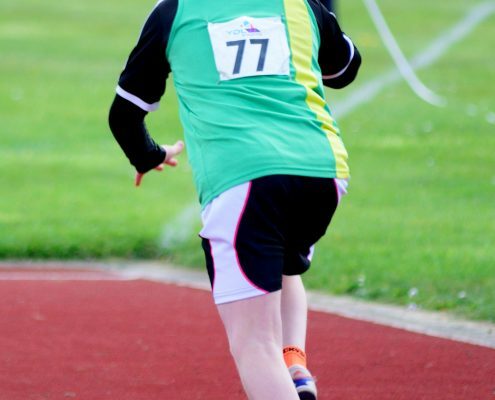 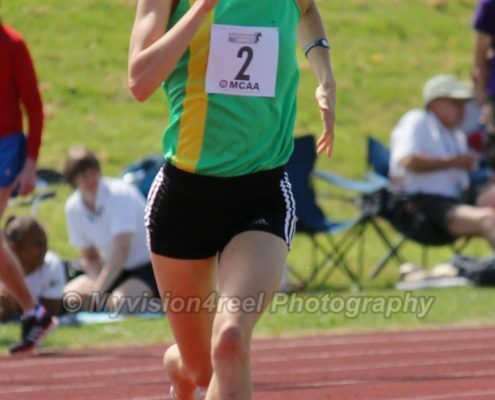 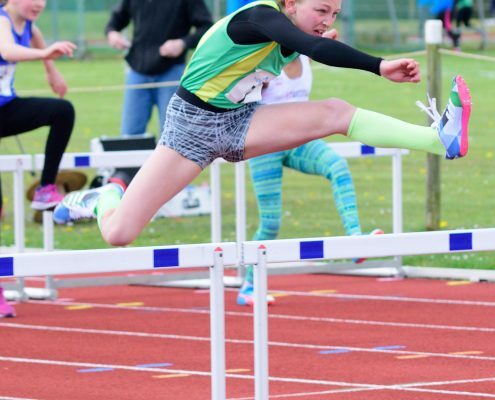 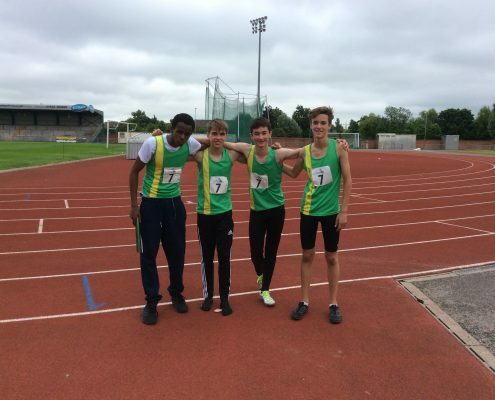 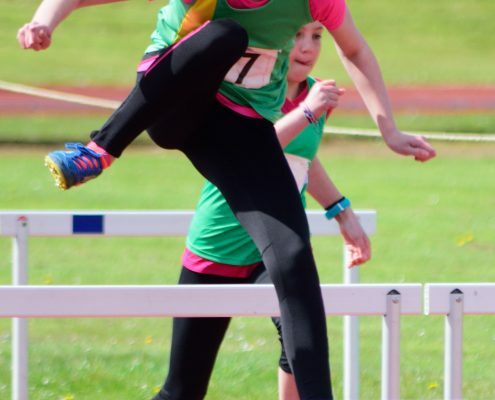 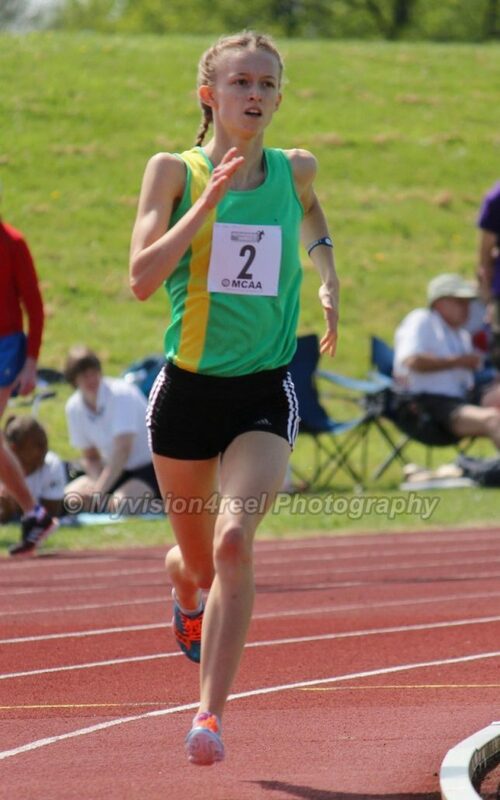 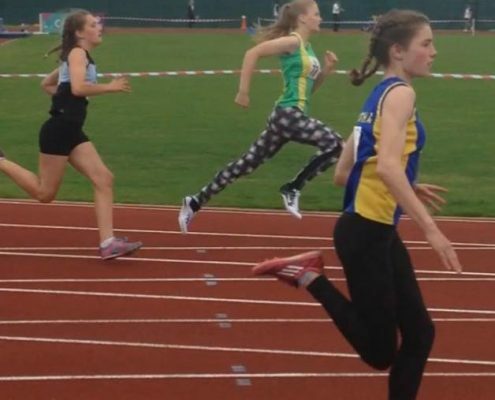 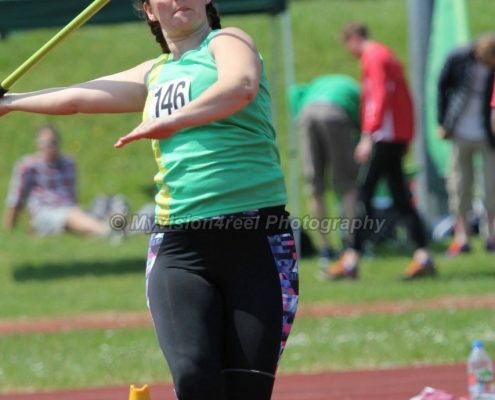 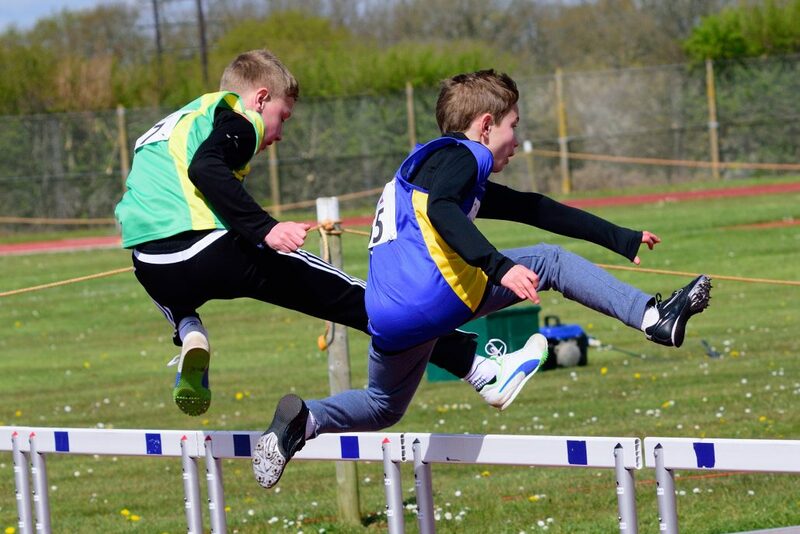 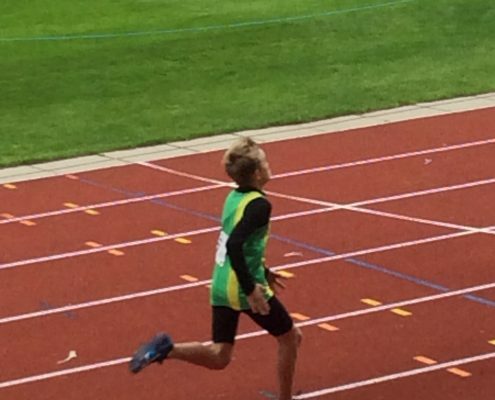 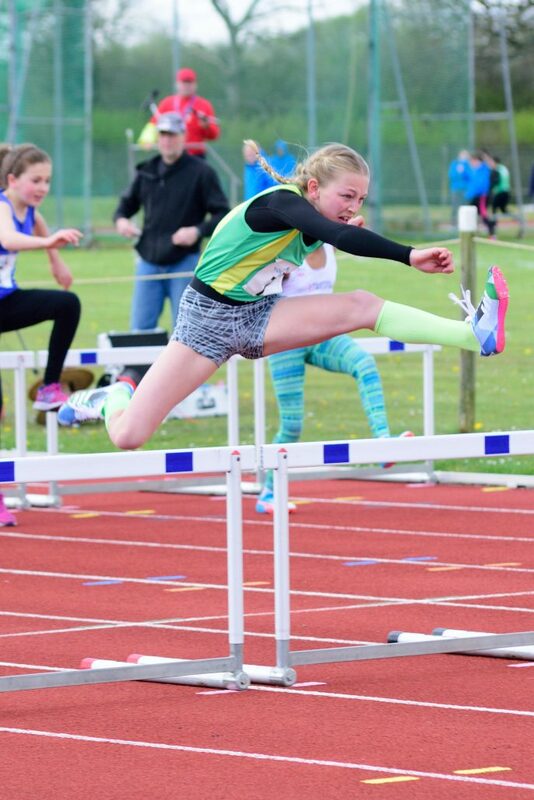 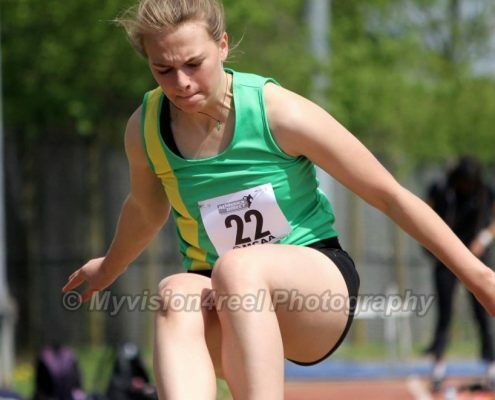 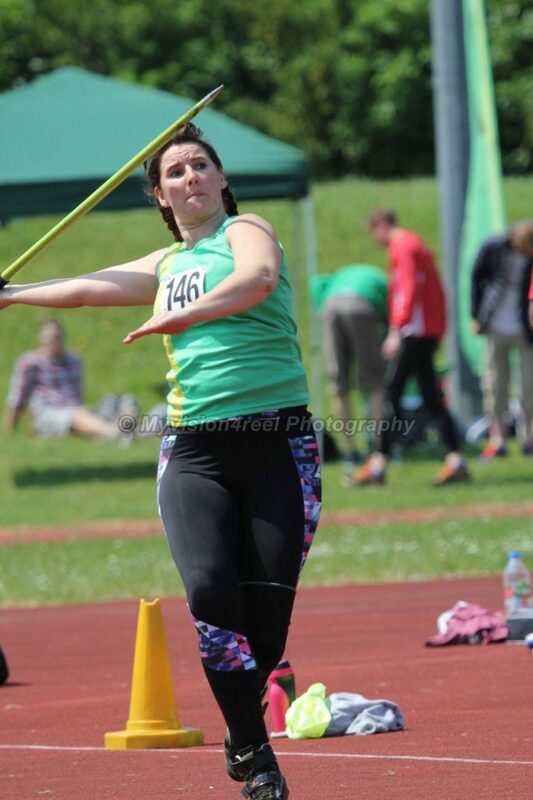 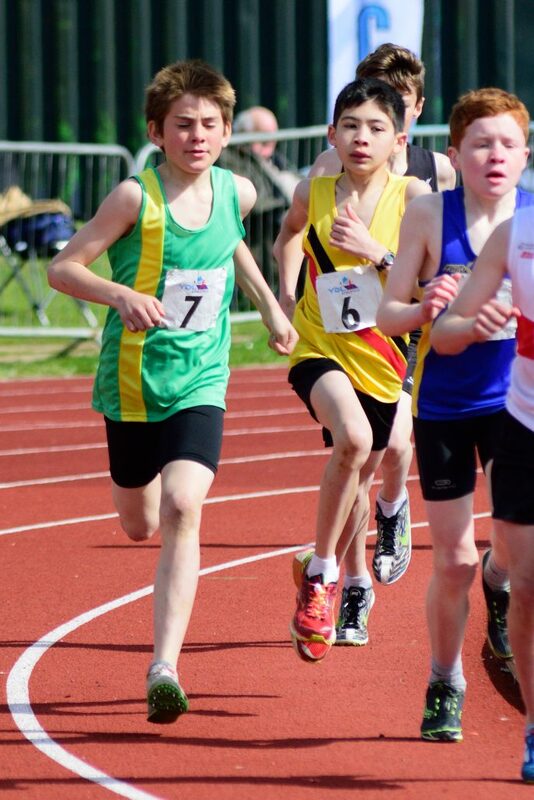 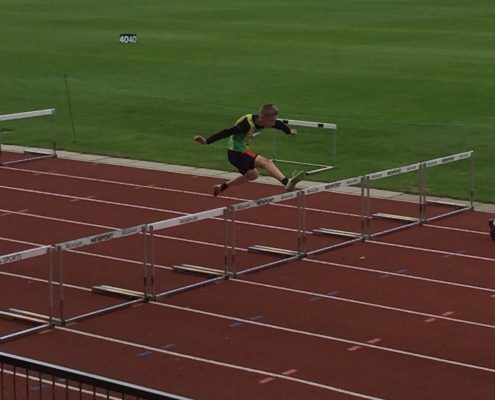 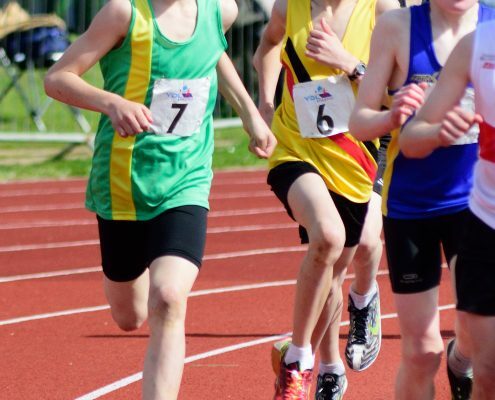 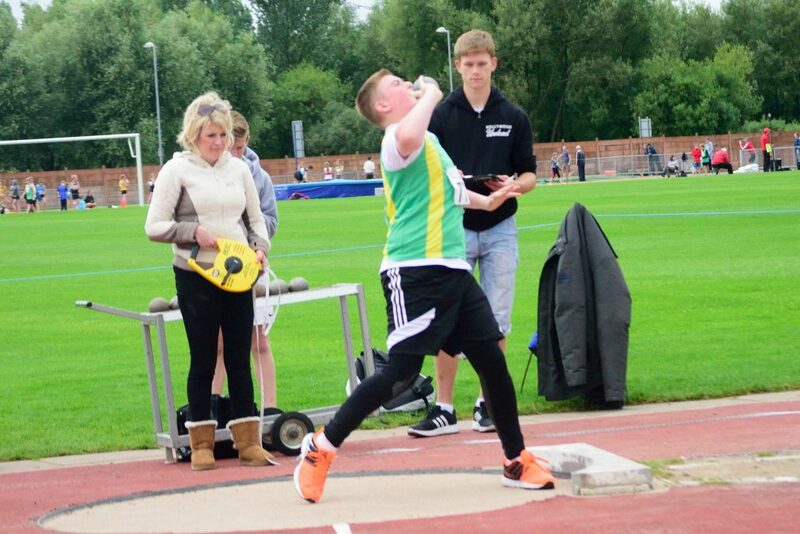 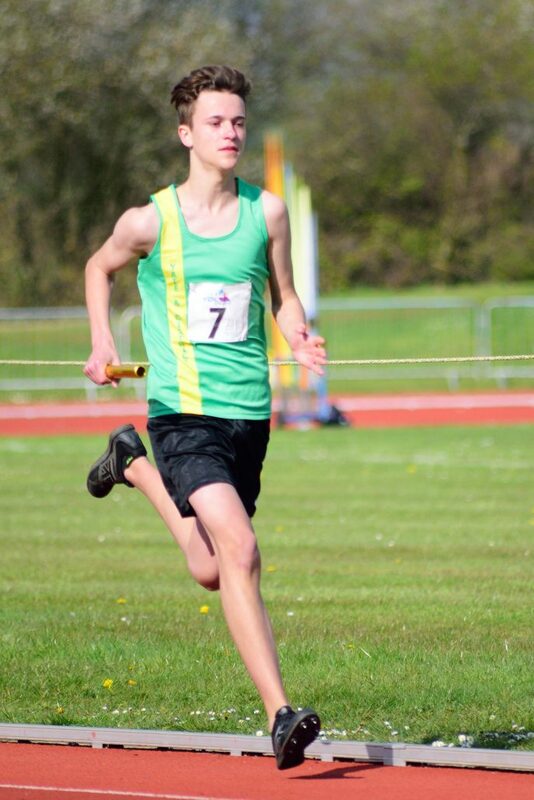 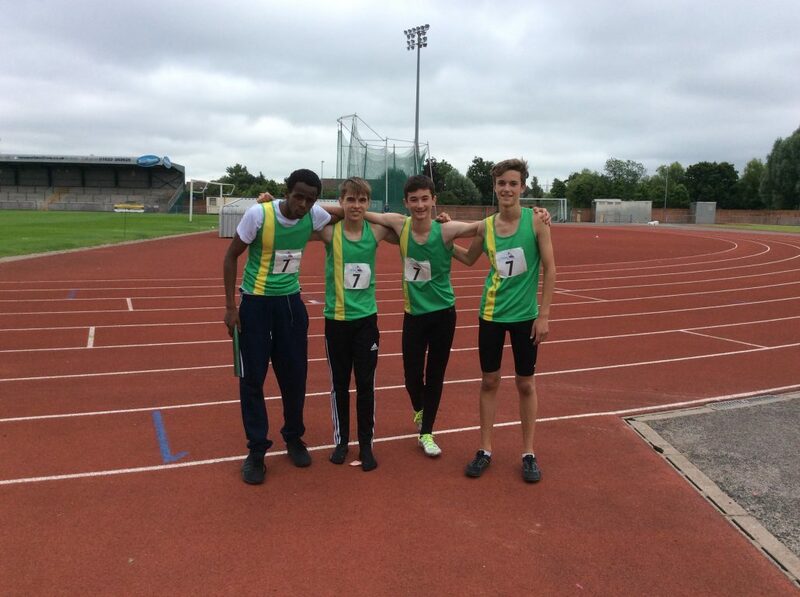 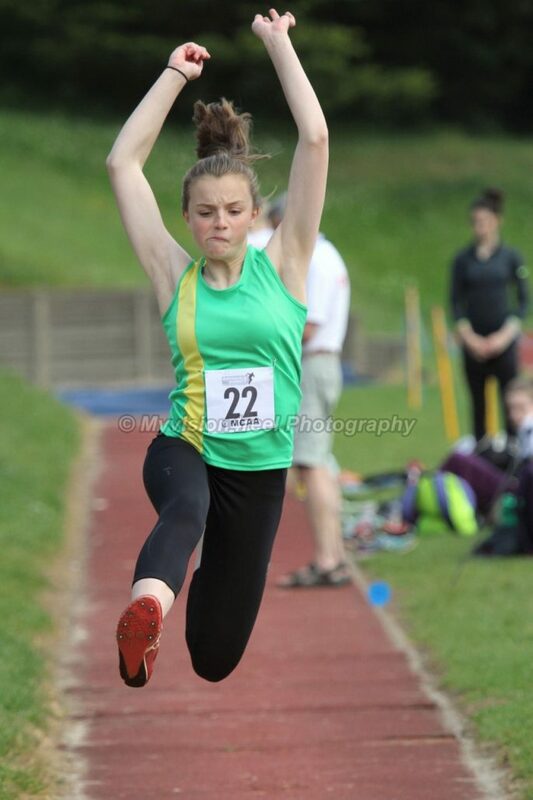 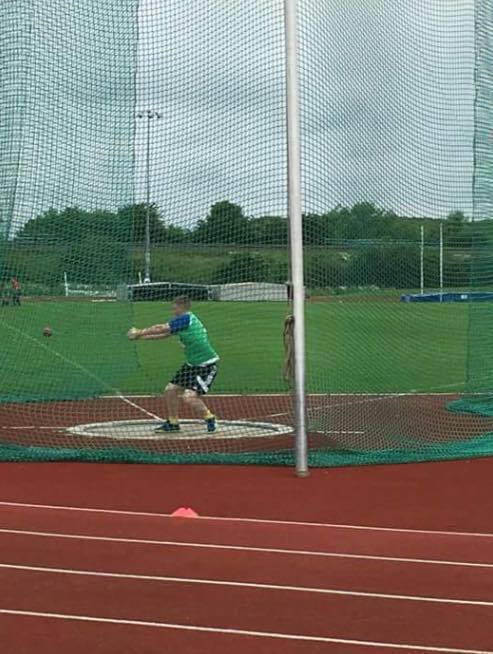 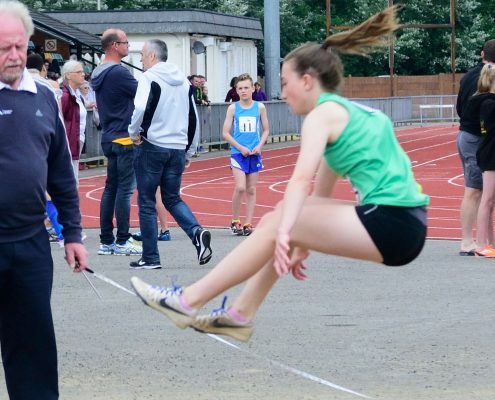 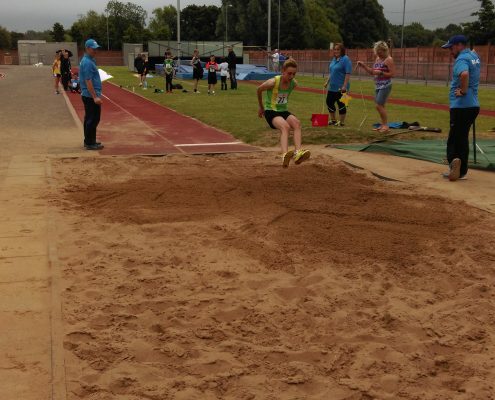 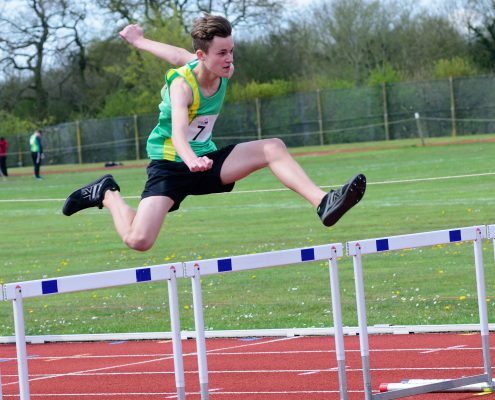 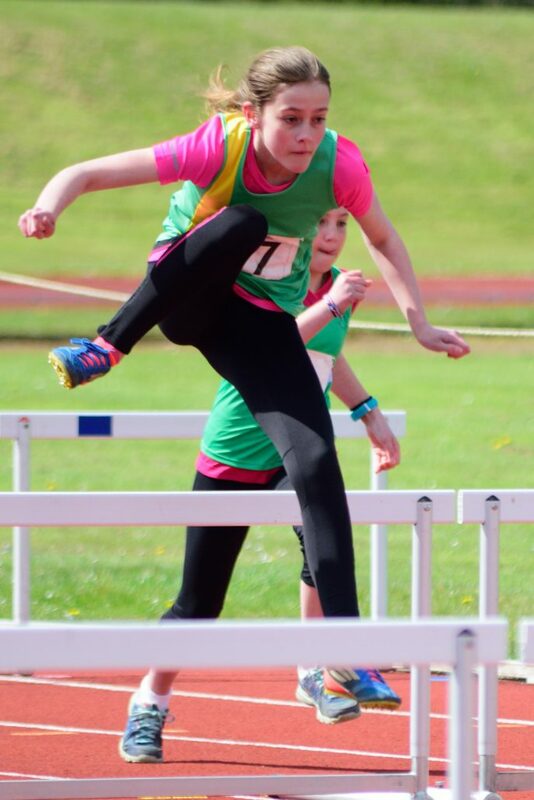 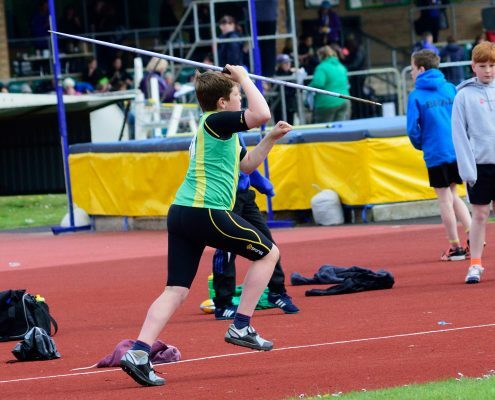 There were some notable performances from Yate & District athletes, including several personal best performances. 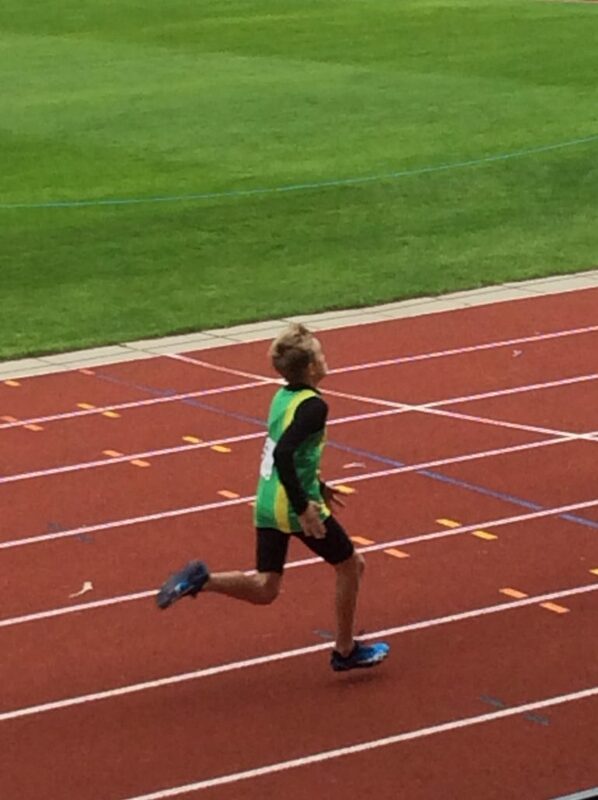 We won almost all relay events. 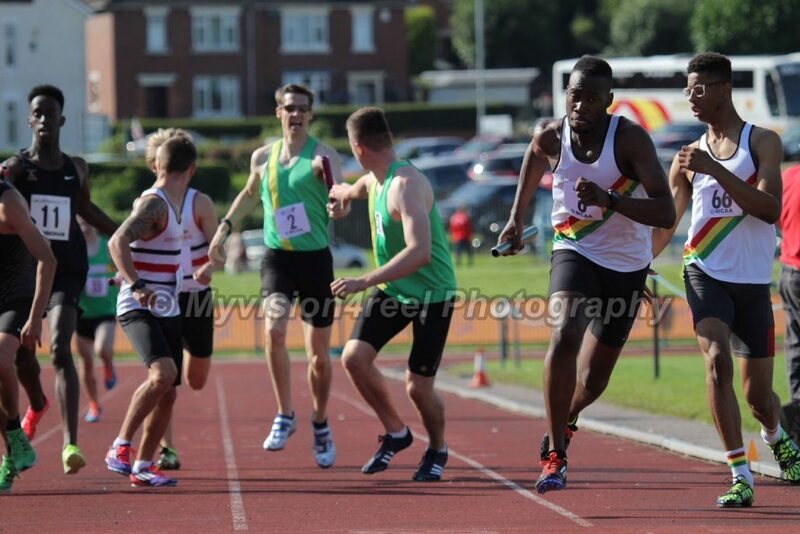 Many thanks to our faithful officials Pat & Tony Jefferies, and Mike Smerdon. 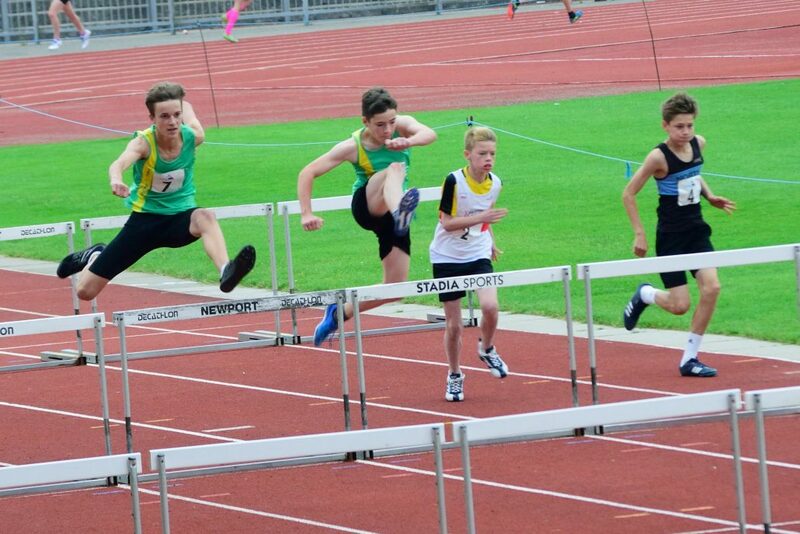 We look forward to consolidating our position in Match 2 at Newport on 29th May. 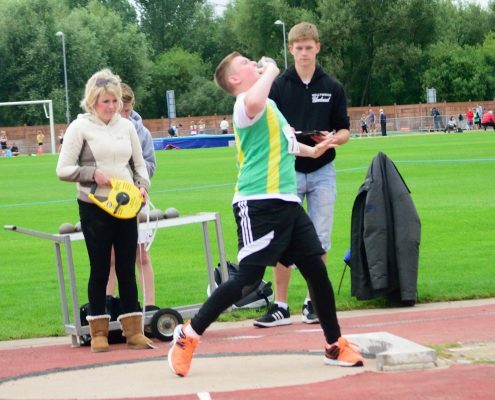 We are in a top division nationally and this is the elite competition that all our athletes should aspire towards. 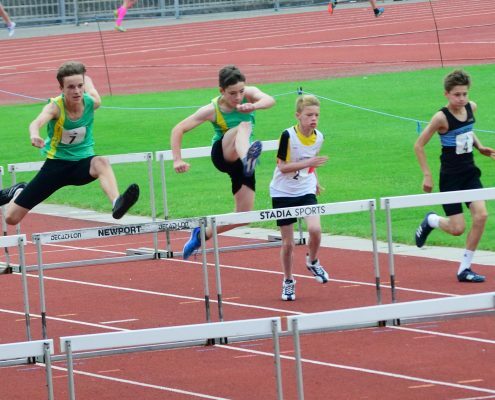 MATCH 2 AT NEWPORT on 29 MAY 2016. 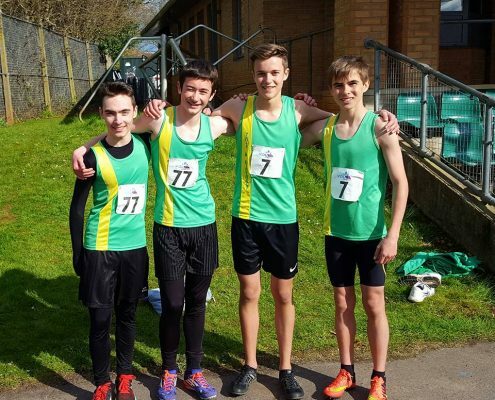 Team Avon was beaten into place by Cardiff and Devon & Cornwall by just 7 points. 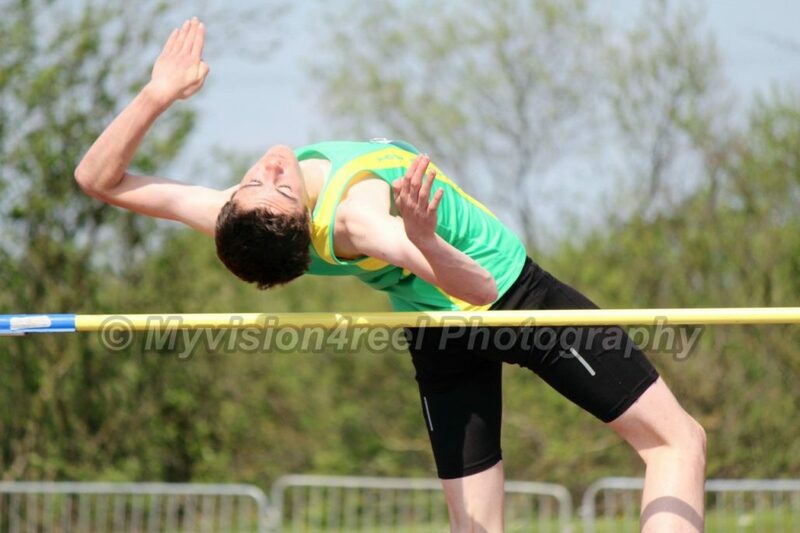 The overall match points resulted in a tie at the top between Team Avon and D&C. 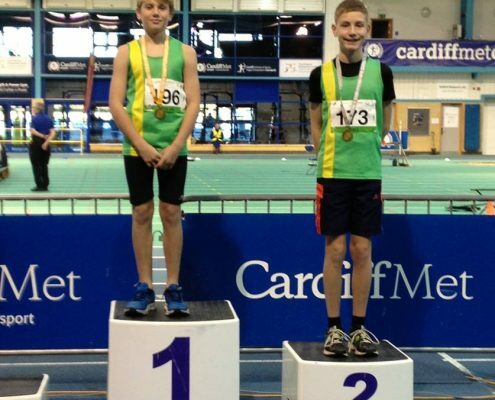 Points: Cardiff 655, Devon & Cornwall 624, Team Avon 617, West Wales 513, Yeovil 288, SE Wales 232. 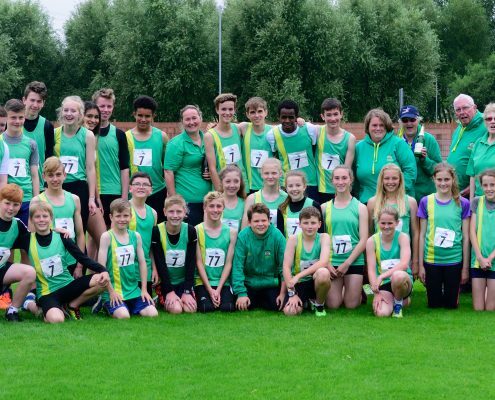 Despite the miserable weather, poor conditions for competition and the absence through injury of some of Team Avon’s best athletes, the team really pulled together well with athletes taking part in events they don’t normally do in order to fill events and keep the score ticking over. 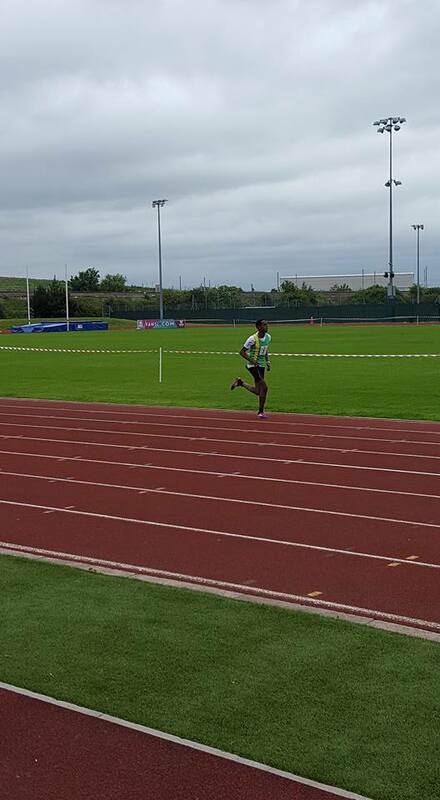 We finished a commendable 3rd which leaves us top of the division by one match point from Cardiff AC. 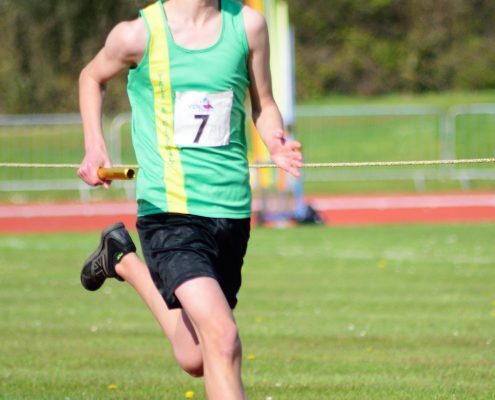 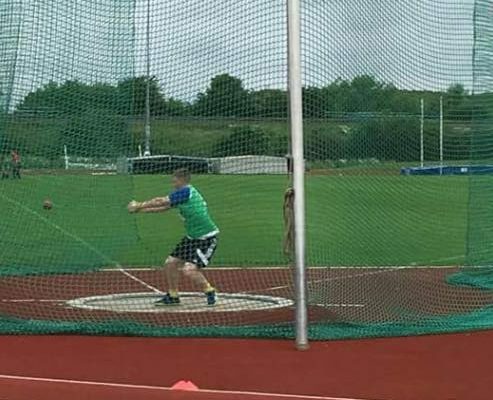 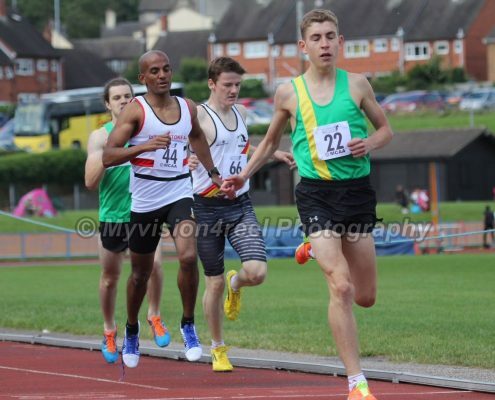 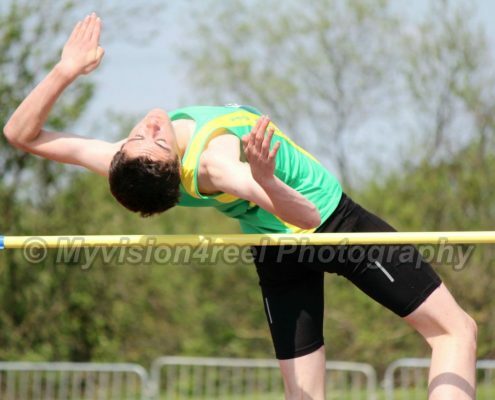 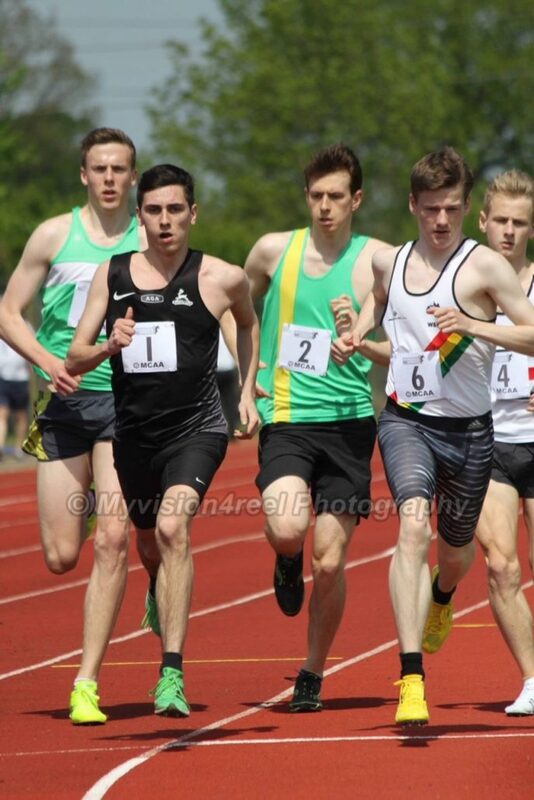 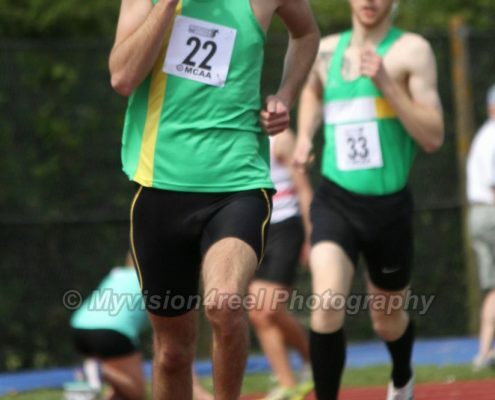 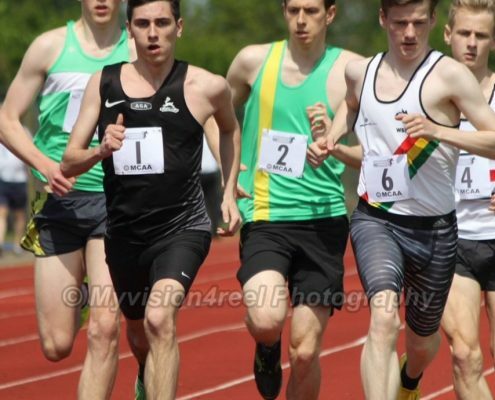 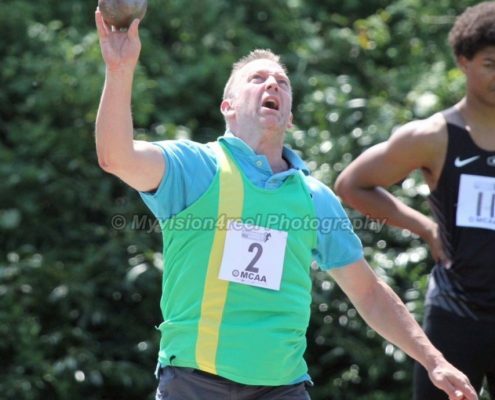 Joshua Snook 1A U20400 50.06 PB; Ben Wells 1B U20 200/400 23.81/53.68; Mark Pratt 1BU20 SP 10.52; Adam Brooks 1A U20 HJ 1.95; Daniel Brooks 1B U17 100/200 11.47/24.18; Aidan Noble 1B U17 3000 10.17.30; Jack Moore 1A U17 HJ 1.75; Tyler Molton 2A U17 HT 49.19; Maria Cook 2B U20 400 68.2;Lucy Conibear 1A U20 PV 2.15;Chloe Pitts 2B U17 HT 36.03; Abi Robson 2B U17 SP 8.01; Lucy Durham 2A U17 TJ 9.72. 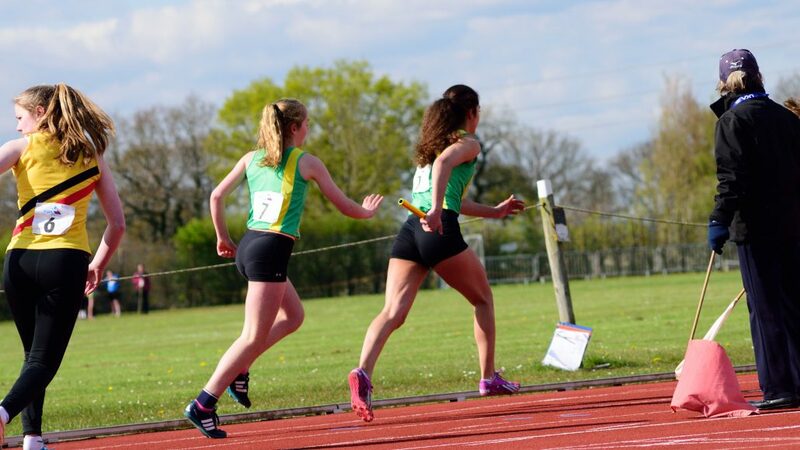 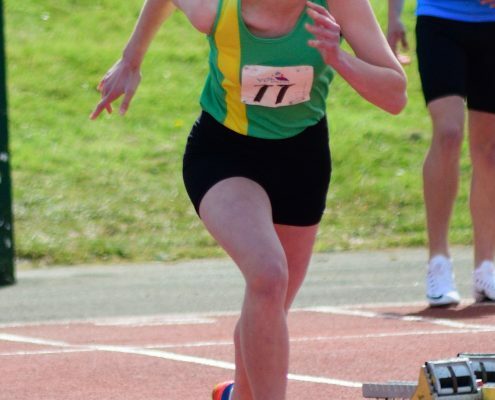 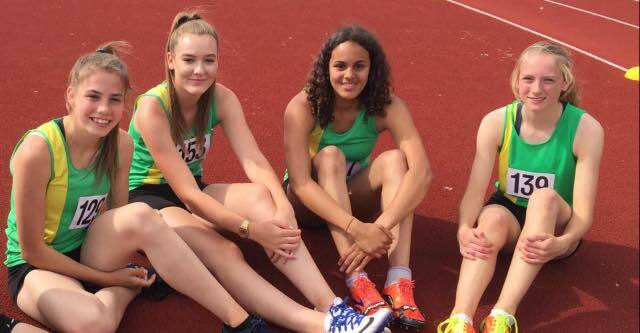 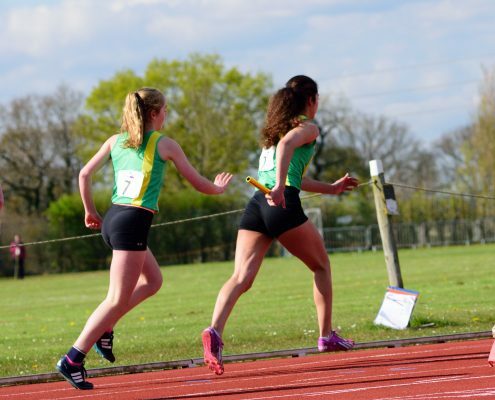 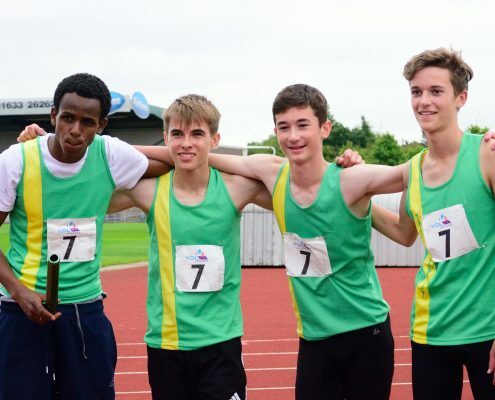 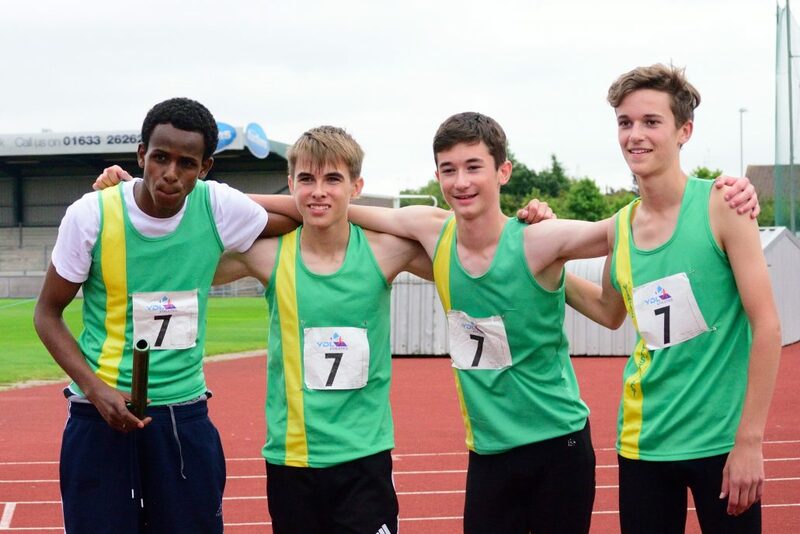 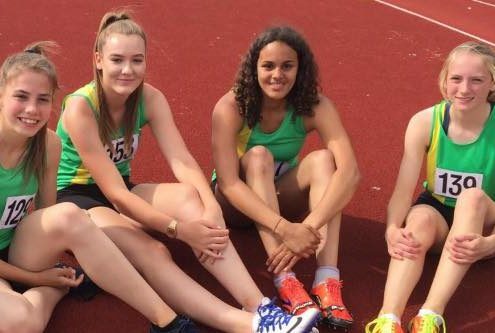 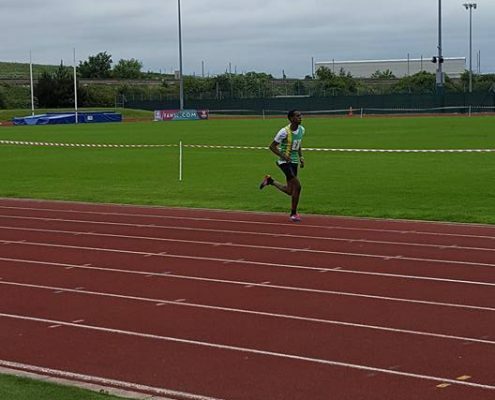 There were some very exciting relays that included Yate athletes and gained us good points, in particular: 1A U20 Women and Men’s 4x100R; 1A U20 Women and Men’s 4x400R. 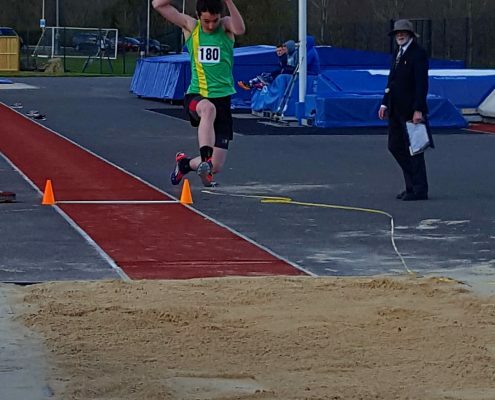 Many thanks to our faithful officials Pat & Tony Jefferies, Carolyn Cook and Mike Smerdon, and to Carolyn Conibear for stepping in for Jim Strudwick for this match. 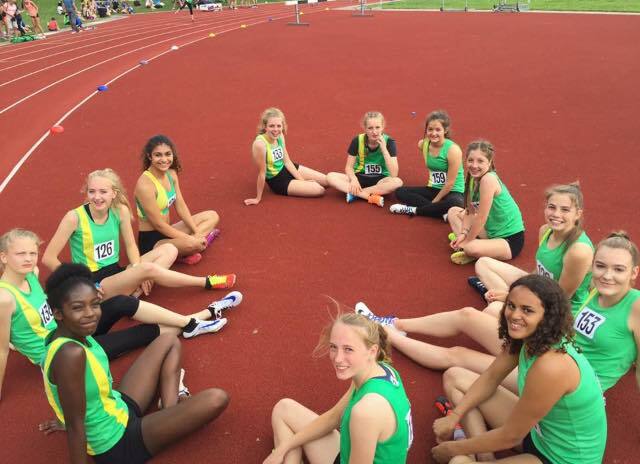 We look forward to consolidating our position at the top in Match 4 at Yeovil on 24 July and hopefully, reaching the national final in September. 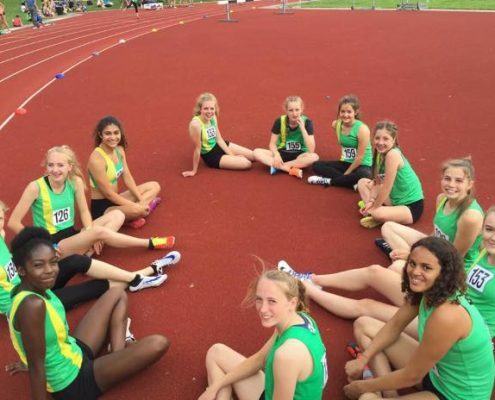 It should make for a very exciting event and we need all the support we can get. 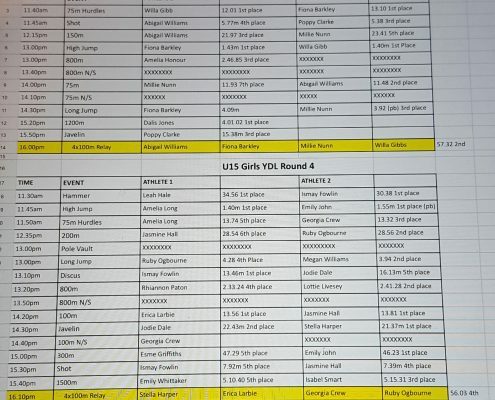 We are in a top division nationally and this is the elite competition that all our athletes should aspire towards. 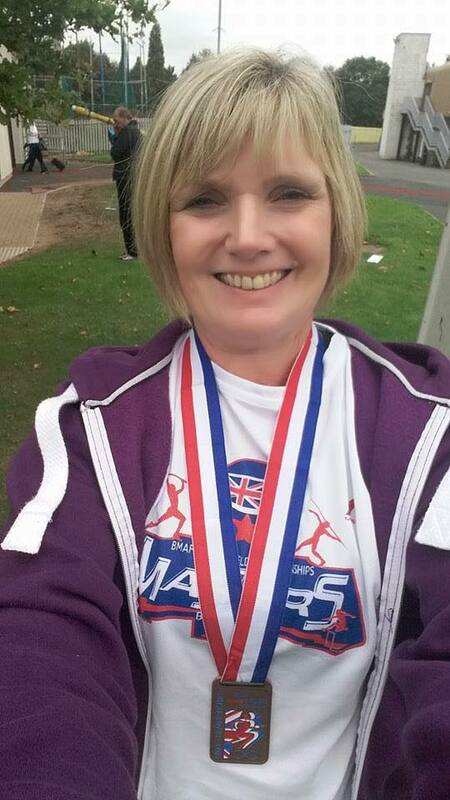 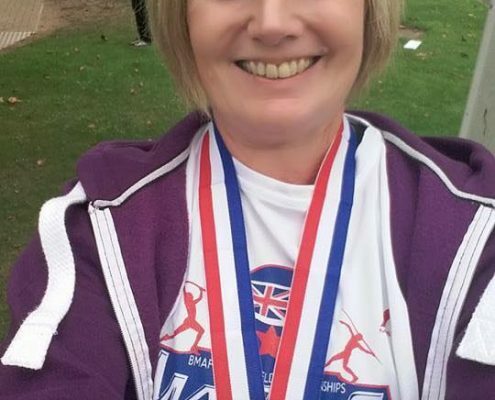 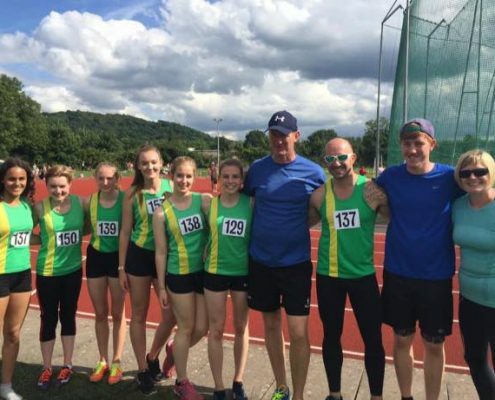 It would help morale if these athletes could be acknowledged on the Yate website in recognition of their efforts and for the fine contribution they make to our sport. 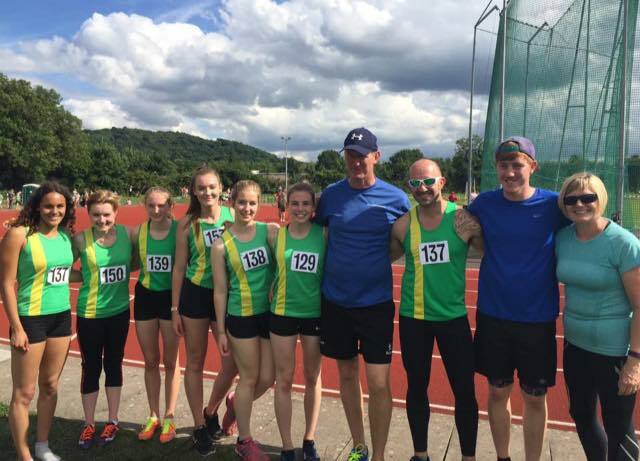 MATCH 4 AT YEOVIL on 24 JULY 2016. 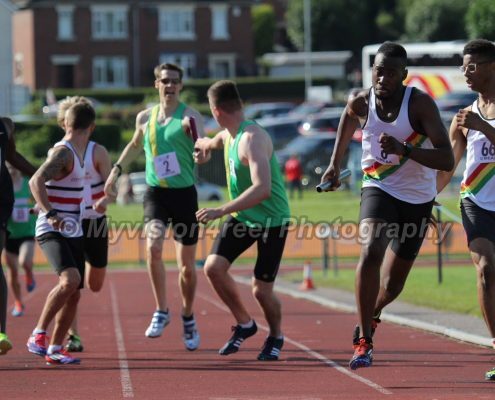 Despite injuries and holidays, Team Avon put in a great effort at Match 4 with all the athletes really working hard for the team and competing in events they don’t usually. 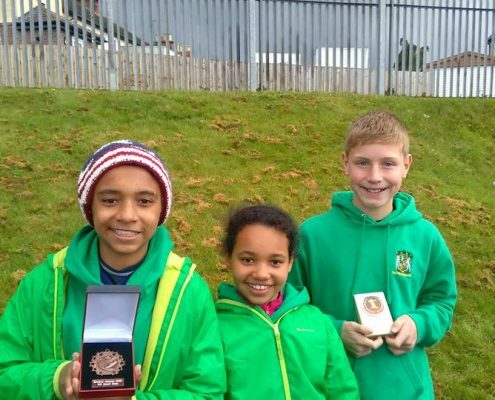 Josh Snook and Tom Pallot, and Lucy Conibear were extremely brave (or foolhardy!) 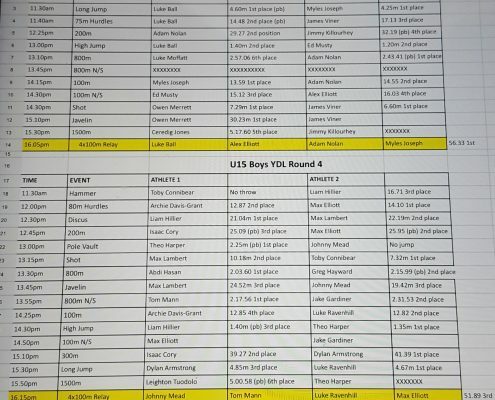 by competing in the 2000mSC and 1500SC respectively to earn us valuable points. 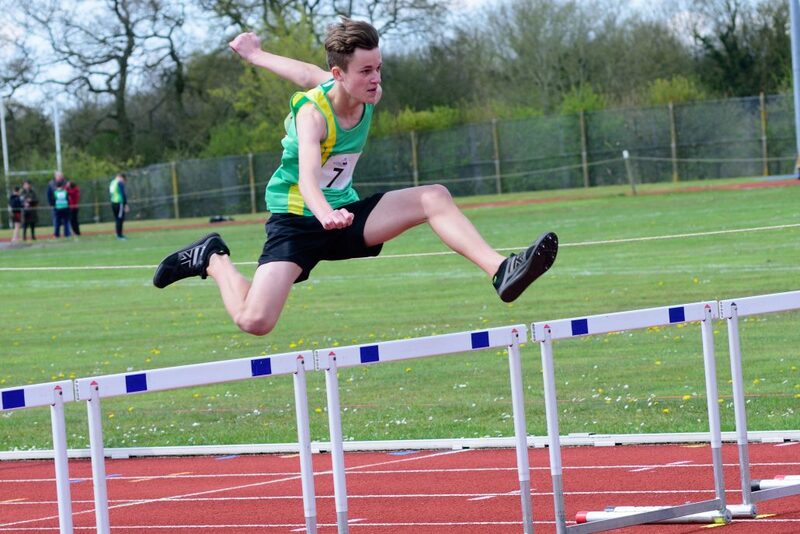 Even so, this was not enough to secure the win we wanted and we finished in second place to Cardiff. 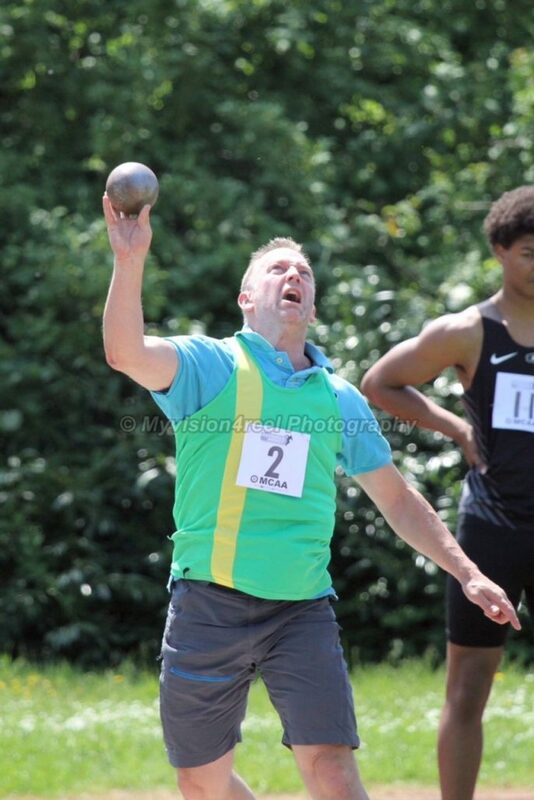 Match 4 Points: Cardiff 794, Team Avon 712.5, Devon & Cornwall 681, West Wales 531, Yeovil 377, SE Wales 222.5. 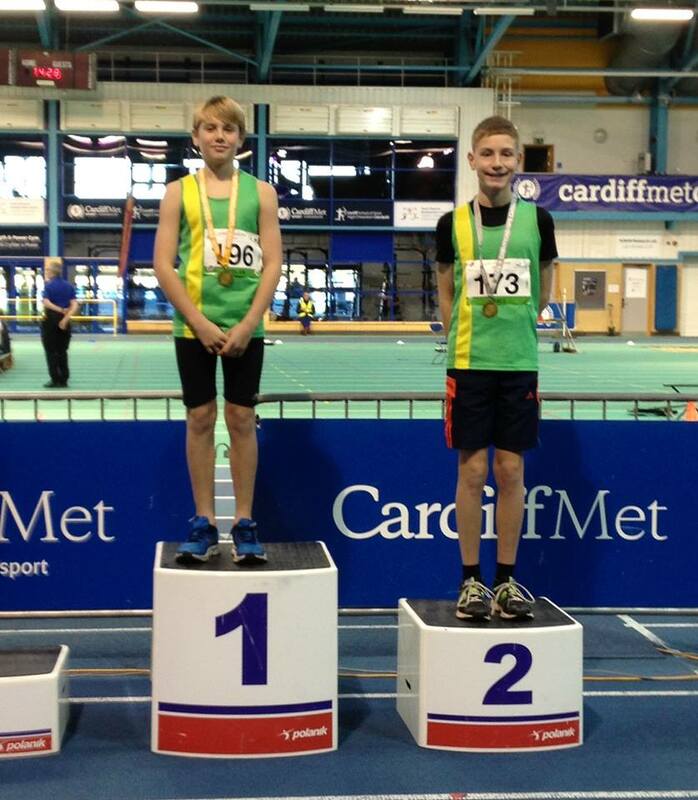 Overall we scored the most points of any team: Avon 2641.5, Cardiff 2612, Devon & Cornwall 2649. 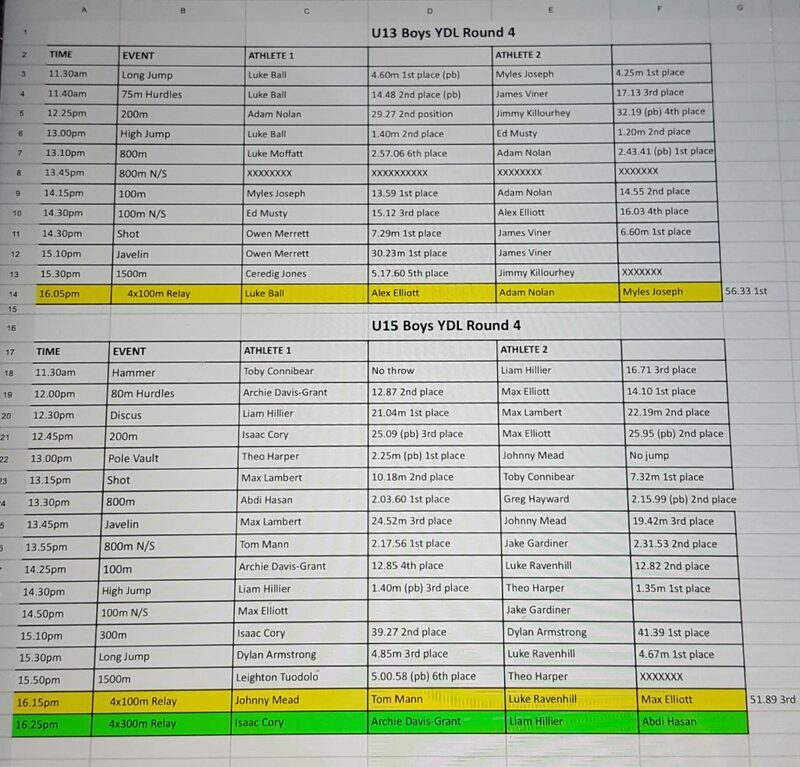 This means we do not qualify automatically for the final but enter a ‘paper’ match of our best performances which are then compared to other second place teams from the premier divisions. 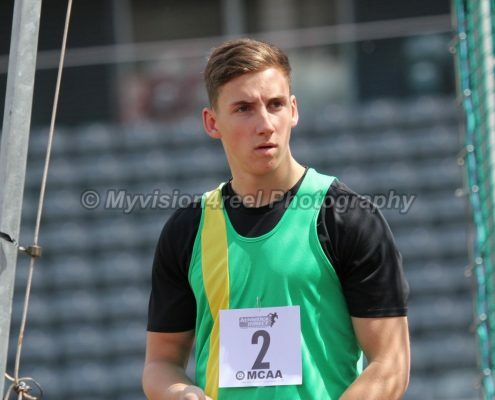 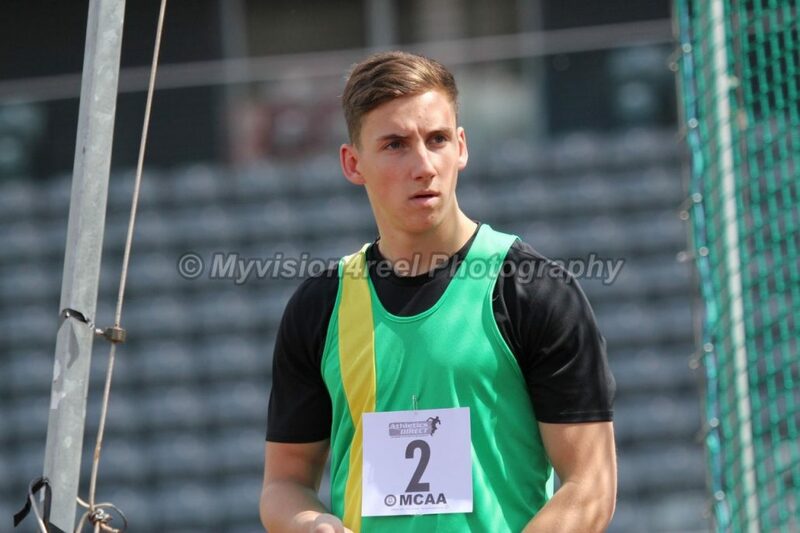 Men: Joshua Snook 1A 400 U20 49.75, Ben Well 1B400 U20 53.30, Elliott Chard 4A 800m 2.05.10, Adam Wilson 2A1500 4.16.79, Adam Brooks 2A HJ U20 1.90, Daniel Brooks 1B 100 11.50 and 1B 200 23.61, Aidan Noble 1B 3000 9.55.61, Jack Moore 2B 400H 60.46, 2B100H 14.94. 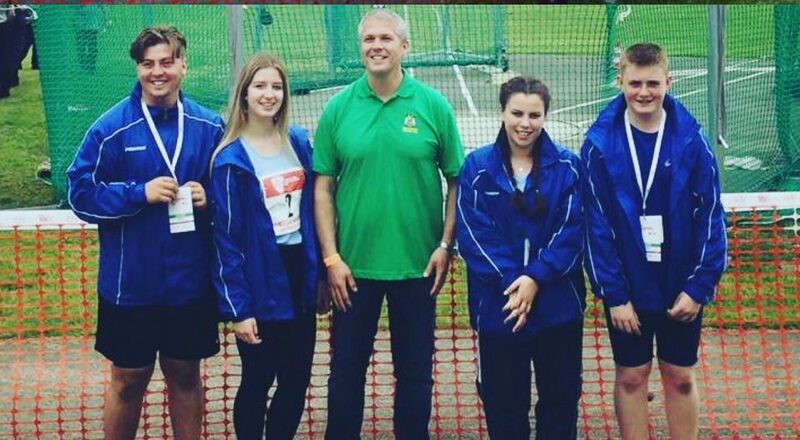 Many thanks to our faithful officials Pat & Tony Jefferies, Mike Smerdon and Carolyn Cook. 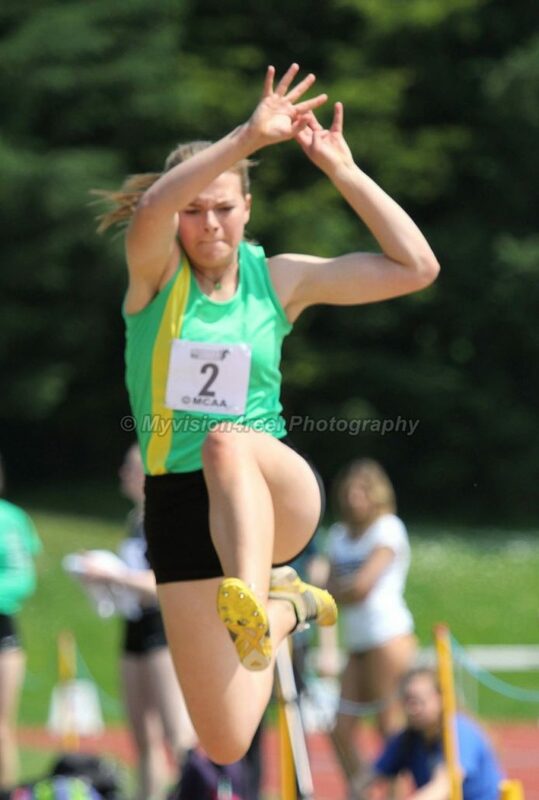 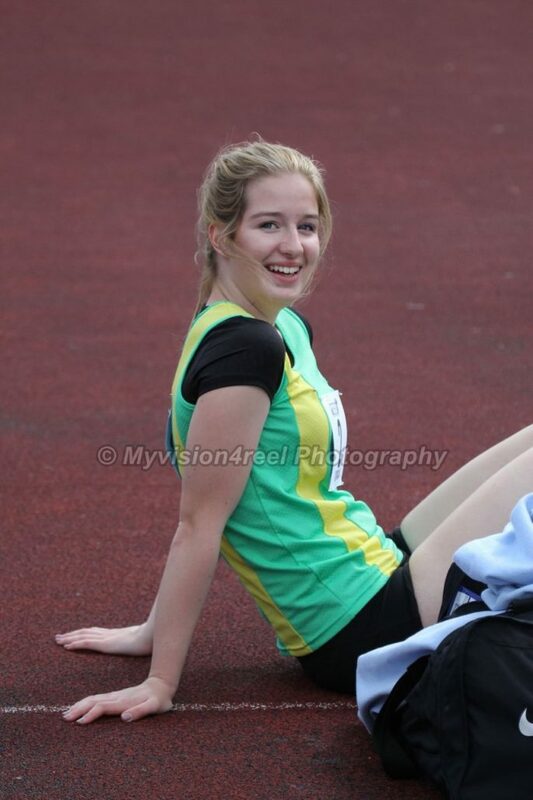 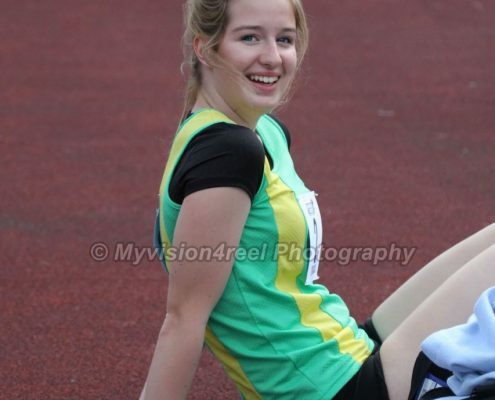 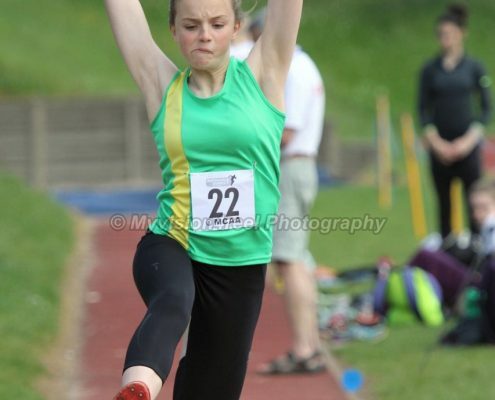 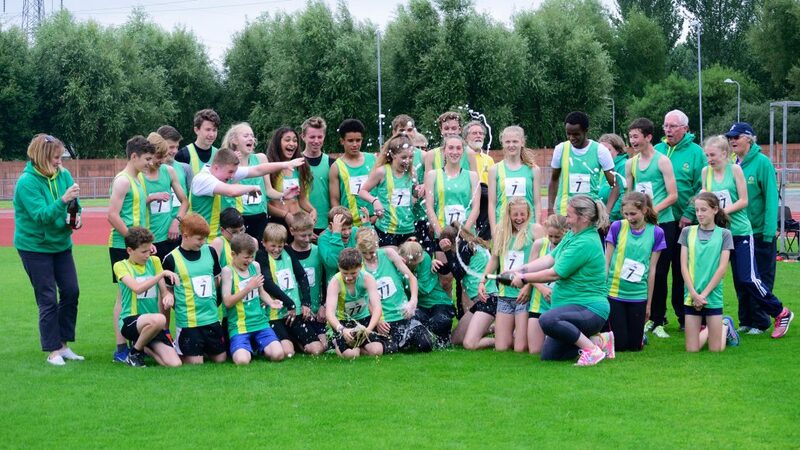 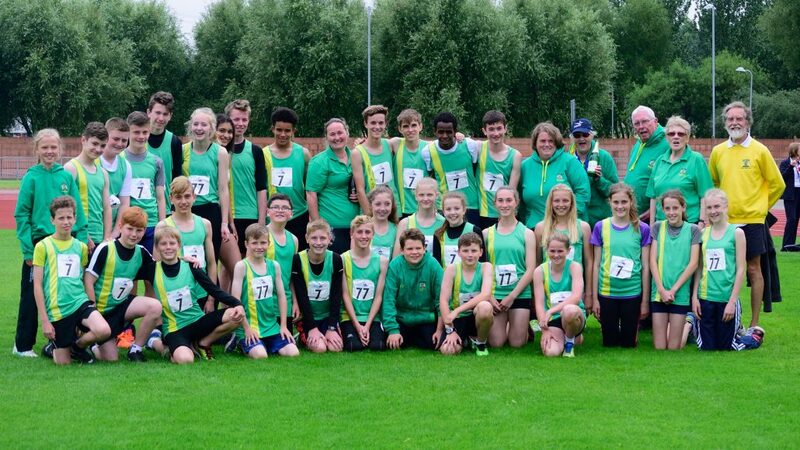 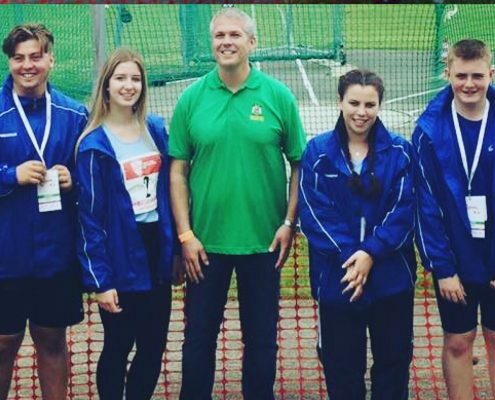 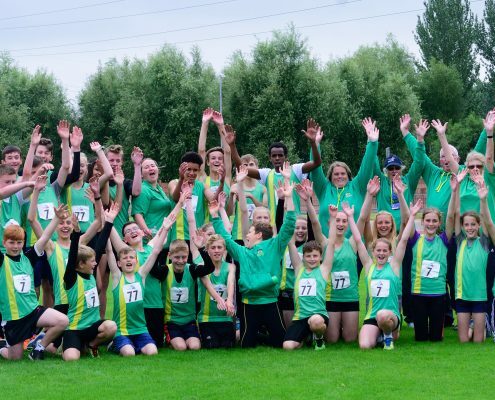 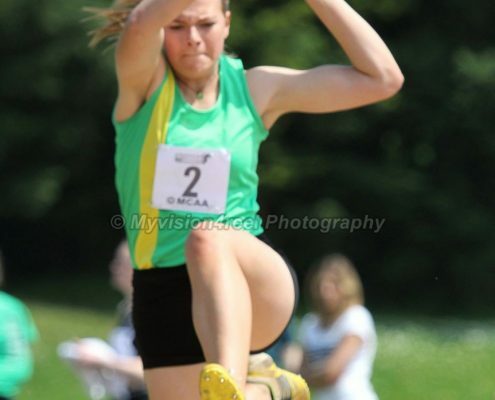 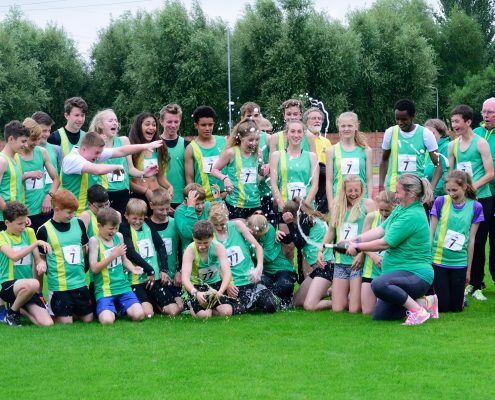 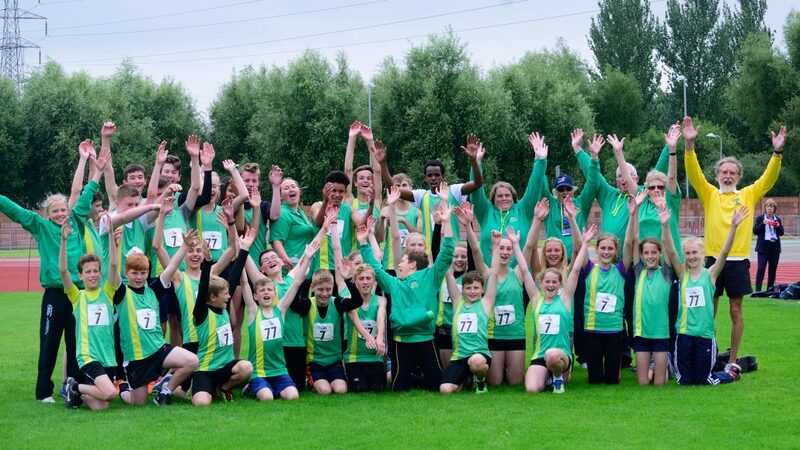 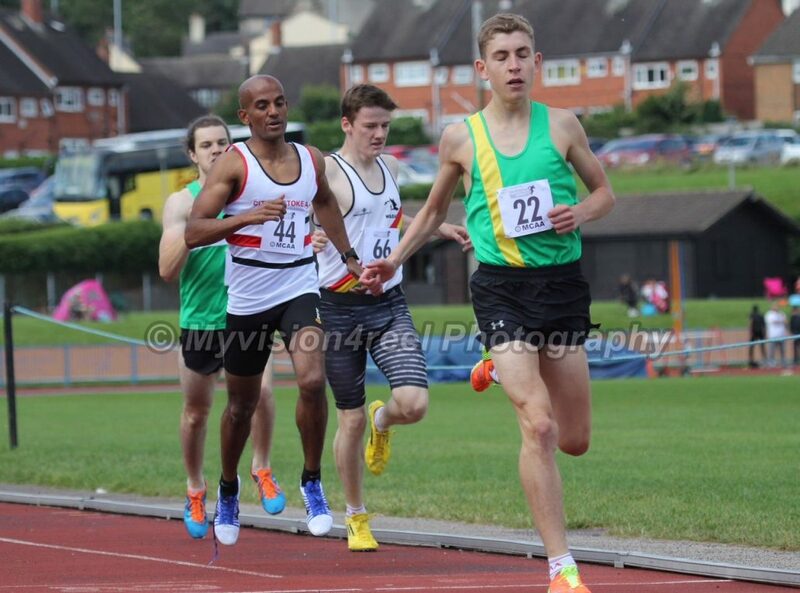 All the Yate athletes who took part in the YDL this season have been a great credit to the club. 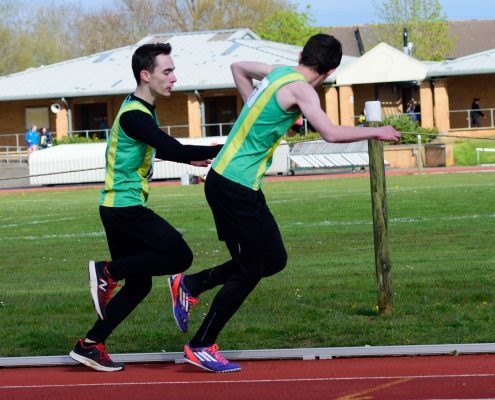 Second only to Team Bath, Yate contributes the most competitors and our athletes are always willing to take part in whatever needs doing. 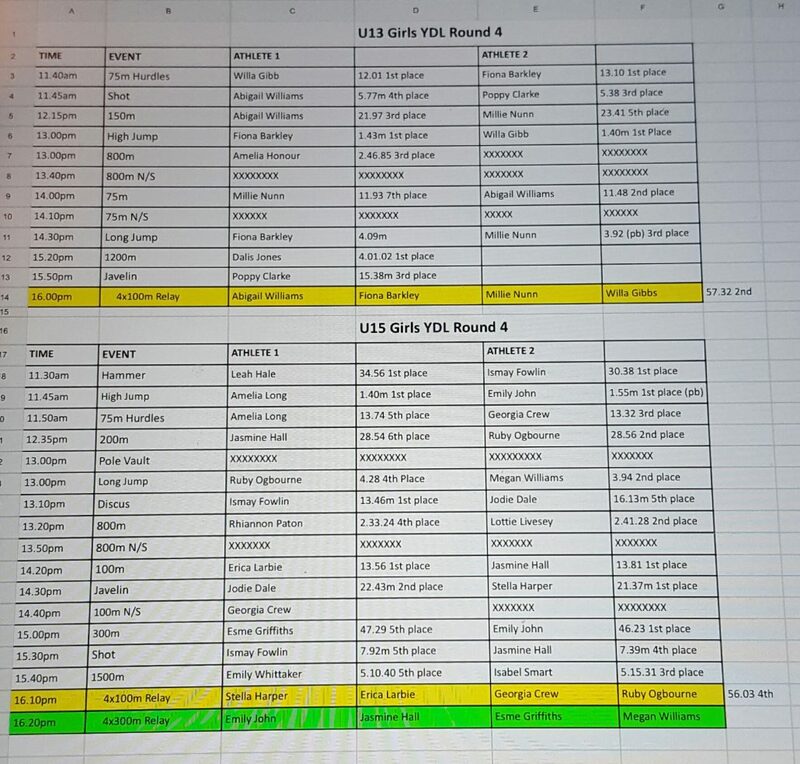 We wait now to see if we qualify for the grand final as second place team.